Muslim cattle traders, beef eaters and dairy farmers continue to be targeted by radical Hindus. A Muslim man was beaten to death by a mob of villagers in Central India, and his companion was critically injured for allegedly killing a cow. The grisly incident took place in May this year in Satna district’s Amgara village. Satna Superintendent of Police Rajesh Hingankar said the villagers attacked the duo on the suspicion that they had killed a bull. Riaz Khan, 45, was killed while his companion Shakeel Maqbool, 33, was seriously wounded. Killing of cow or bull is a criminal offence in India. In another recent incident of cow vigilantism, a mob lynched two Muslim men at a village in the state of Jharkhand on June 13 as they were believed to be involved in cattle theft. 35-year-old Jirafuddin Ansari and his younger brother Murtaza Miyan, 30, were allegedly caught stealing buffaloes, but their father claimed that his sons were cattle traders. 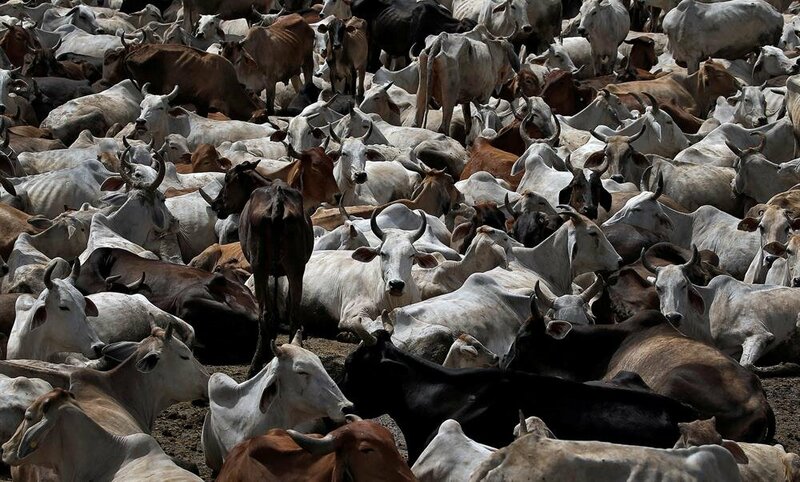 A man identified as Ummar Muhammad was shot dead allegedly by cow vigilantes for transporting cows from Mewat in Haryana to Rajasthan’s Bharatpur in November last year. There appears to be no let-up in the spate of assaults and hate crimes against Muslims in India. Muslim cattle traders, beef eaters and dairy farmers continue to be targeted by radical Hindus. After the Modi-led government came to power in 2014, the cow vigilantes affiliated with right-wing Hindutva groups grew bold as they thought that they had support from the state machinery and could carry out attacks with immunity. 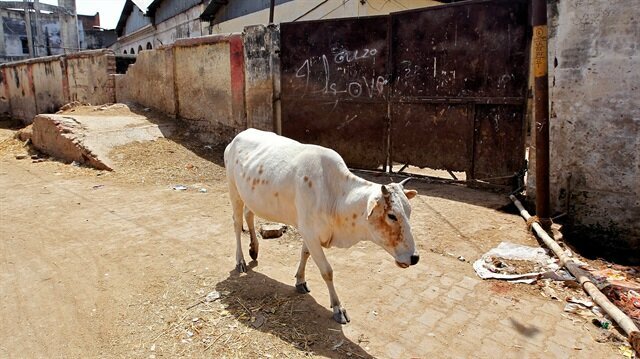 At least five people were killed in cow-related hate crimes in the southern states of Telangana and Karnataka in May this year. In 2017, 11 Muslims were killed in similar incidents of vigilantism across the country, the highest toll since 2010. The lynching of members of the minority community on the suspicion that they were carrying beef (cow meat) or transporting bovines to the slaughterhouse by Hindu cow protector groups continues unabatedly. Hardline Hindu groups affiliated to the ruling Bharatiya Janata Party (BJP) have gained prominence since Prime Minister Narendra Modi’s nationalist BJP stormed to power, and the fundamentalists have been targeting Muslims and terrorizing, intimidating and humiliating them in the name of protecting cows, which are considered holy by the Hindus. Mob lynching of Muslims by Hindu groups is nothing new, but the severity and frequency of the violence has increased. According to Human Rights Watch, the cow vigilante violence has witnessed an upward trend since 2015. 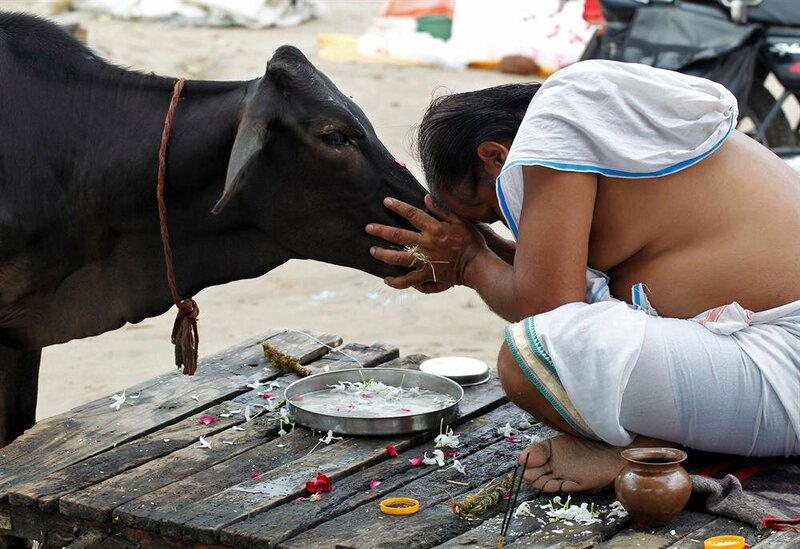 The rash of attacks by cow protection groups across the country has sent shock waves through members of the minority community, created a sense of insecurity among them, and affected social cohesion and stability. To make things worse, even leaders and Members of Parliament (MPs) belonging to the ruling BJP party have been targeting Muslims and dubbing them as terrorists and anti-national. BJP MP Vinay Katiyar in February this year said that Muslims should not stay in India as they divided the nation on the basis of population. They should go to Bangladesh or Pakistan, he suggested. The senior BJP leader suggested that Muslims do not respect India’s national anthem, Vande Matram, and insult the national flag. He tweeted that there should be a bill that punishes those who do not respect Vande Matram, those who insult the national flag, and those who raise the Pakistani flag. Katiyar’s comments came following AIMIM (AIMIM or All India Majlis-e-Ittehad-ul Muslimeen which translates to All India Council of the Union of Muslims and is a recognized regional political party based in the state of Telangan) chief Asaddudin Owaisi’s call to punish those who call an Indian Muslim “a Pakistani.” According to Aakar Patel, executive director of Amnesty International India, the pattern of hate crimes committed against Muslims with seeming impunity is very disturbing. Many of the crimes were committed in states where the BJP is in power. Patel said that chief ministers of various states have neither denounced this violence nor taken effective measures to check it. This growing trend of Islamophobia needs to be stopped in its tracks, he added. Prime Minister Narendra Modi has condemned the violence against the minority community. Expressing his anguish at several incidents of lynching and murder of Muslims by self-styled Hindu cow vigilante (protection) groups over rumors of cow slaughter, Modi said in June 2017 that killing people in the name of cows was unacceptable. He said, “We belong to a land of non-violence. Violence is not the solution to any problem.” But Modi’s words had little or no impact on Hindu groups, as is evident from the fact that attacks on Muslims continue. On the other hand Modi’s coming to power boosted the confidence of Hindu leaders and outfits. They believe that a grand Ram Temple in Ayodhya would now be a reality. BJP lawmaker Sakshi Maharaj has said that the Ram Temple would be built during Modi’s rule. Vishwa Hindu Parishad (VHP) spokesman and General Secretary Surendra Jain has said that the people hope their dream of the construction of the temple would now be realized. He even said the previous BJP government, headed by then Prime Minister Atal Bihari Vajpayee, did not fulfil this aspiration and was voted out of power. Jain expressed hope that the Modi government would not repeat the same mistake. The construction of a temple at the site, believed to be the birthplace of Lord Ram, in the holy city of Ayodhya is a highly emotive issue for Hindus in India, and in the past has led to deadly riots and large-scale violence leading to the death of thousands of people, mostly Muslims, as the site is disputed since a mosque also stands at the same place. 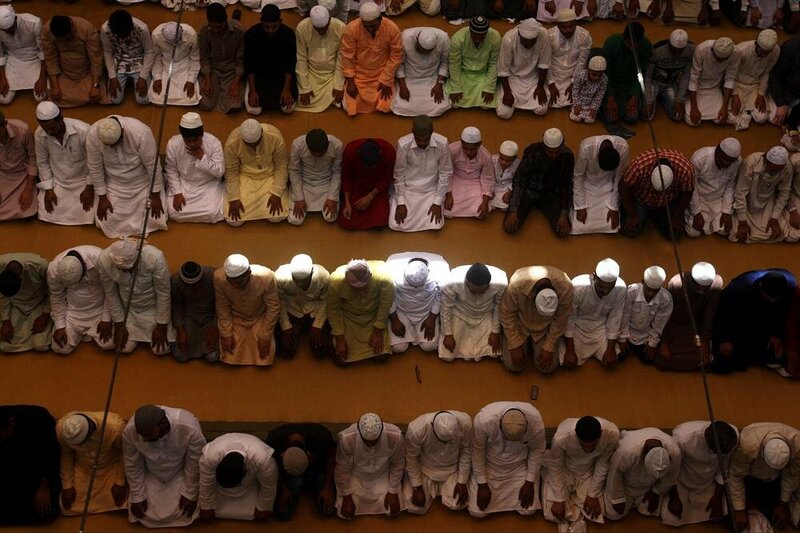 The seemingly unbridgeable Hindu-Muslim divide in the country has been further widened by the talks of a Hindu nation. Hindu fundamentalists want India to be declared a Hindu nation. At the All India Hindu Convention held in Ponda in June last year, members of the Hindu outfits pitched for a Hindu nation status for the country. Ramesh Shinde, the national spokesperson of the right wing Hindu Janjagriti Samiti, said that India could become great again if it became a Hindu nation. A resolution was passed at the convention demanding to declare India a Hindu nation. The sixth All India Hindu Convention also asked for the construction of a grand Ram temple in Ayodhya and a ban on cattle slaughter and religious conversions. Although it is unlikely that India would be declared a Hindu nation, such demands create a sense of insecurity among Muslims and encourage the fundamentalists to target and abuse the community members. The Shahi Imam or chief cleric of Delhi’s Jama Masjid (mosque) Syed Ahmad Bukhari has said that the community is in jitters on account of rising incidents of intolerance. The fundamentalists continue to rake up issues like gharwapsi, love jihad to target the Muslims. Ghar Wapsi (meaning "Back to Home") is a campaign aiming to re-convert non-Hindus, especially Muslims, to Hinduism. Indian Hindu organizations Vishva Hindu Parishad (VHP) and Rashtriya Swayamsevak Sangh (RSS) have claimed that India was once a Hindu nation, that all Indians are Hindus, and that all non-Hindus are the outcome of religious conversions. The Hindu outfits claim that they facilitate conversion of non-Hindus to Hinduism. The Bharatiya Janata Party leader Yogi Adityanath, now the chief minister of India’s most populous northern state of Uttar Pradesh, has claimed that this campaign would continue unless conversions to other religions are totally banned in the country. Love jihad is another issue to target Muslims. Hindu organizations have been claiming that love jihad is a campaign by Muslims where Muslim youths have been luring and trapping Hindu women in romantic relationships for conversion to Islam. However, Muslim organizations have denied the allegations and official investigations have also not found any truth in such allegations. Meanwhile, Muslims have allegedly been targeted by security forces in India’s restive state of Jammu & Kashmir. According to a recent UN report, human rights violations have taken place in Kashmir, and Indian forces have used excessive force since 2016. The UN estimates that about 145 civilians have been killed by security forces between July 2016 and April 2018. India, however, has rejected the UN’s claims. Even the National Commission for the Minorities, the panel set up by the government to redress complaints of the minority communities and work for their welfare, appears to have lost the confidence of the Muslims. In June 2017, the National Commission for the Minorities Chairperson Gayorul Hasan Rizvi courted controversy when he remarked that those who cheered Pakistan’s victory in a cricket match against India during the Champions Trophy final should be deported to that country. Well-known social activist Shabnam Hashmi returned her National Minority Award in protest against the continued attacks on Muslims by Hindu groups. She said that she was returning the award in protest against the consistent attacks and killings of the members of the minority communities and total inaction, apathy and tacit support to the violent gangs by the government, and that National Commission for the Minorities had become irrelevant. Thus, while the nation makes progress on many fronts, the Muslims in India believe that they would continue to be treated as second-class citizens in their own country and could be targeted by the radical Hindus on the slightest pretext.